Soft sand and swaying palms lend South Pacific charm to this beautiful oasis on the shore of Isthmus Cove, where friendly staff serves signature food and drinks to your rustic palapa, beachside lounge chair or waterfront dining table. Food and beverage service is available from 11:30 am to 2 pm on Saturdays & Sundays. Our rustic-style furnished palapas are roomy enough for small groups, yet intimate enough for couples to enjoy a relaxing day at the beach. 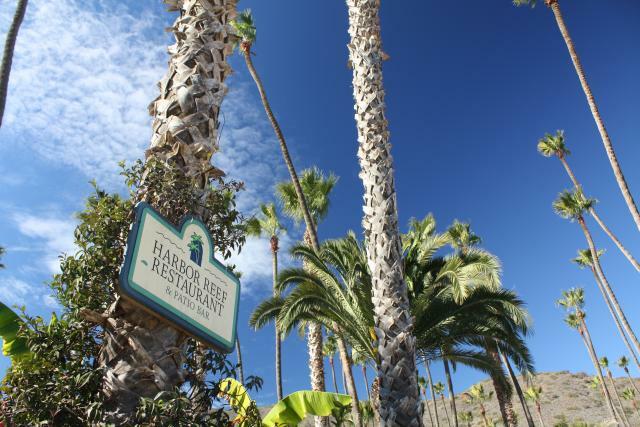 Other Harbor Sands amenities include lounge chairs with umbrella, sand side table, waterfront dining deck, and a group venue with redwood picnic tables that seat up to 250, three large charcoal BBQ pits, service bar, shade sails, band stand and more. For group events, call 310.510.4249.